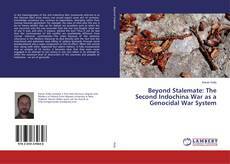 In the historiography of the 2nd Indochina War (commonly referred to as the Vietnam War) areas where one would expect some sort of common-knowledge consensus are, contrary to expectation, diverging rather than moving towards agreement. For example, the issue of who won the war is by no means settled. Also up for debate are questions such as when the war occurred; why the war occurred; how the war was fought; what sort of war it was; and who, if anyone, started the war? Thus it can be said that the 'controversies' of this conflict are qualitatively different from normal historical controversies. This arises because of the immense reluctance in the Western discourse to deal directly with the fact that the intentional and systematic mass killing of civilians (primarily through aerial bombardment) was a major component of the US effort. When this central fact, along with other neglected but salient matters, is fully incorporated into an analysis of US tactics, it becomes clear that they were never engaged in an attempt to win victory in war, but rather in an attempt to inflict the maximum level of destruction of the countries and peoples of Indochina – an act of genocide.